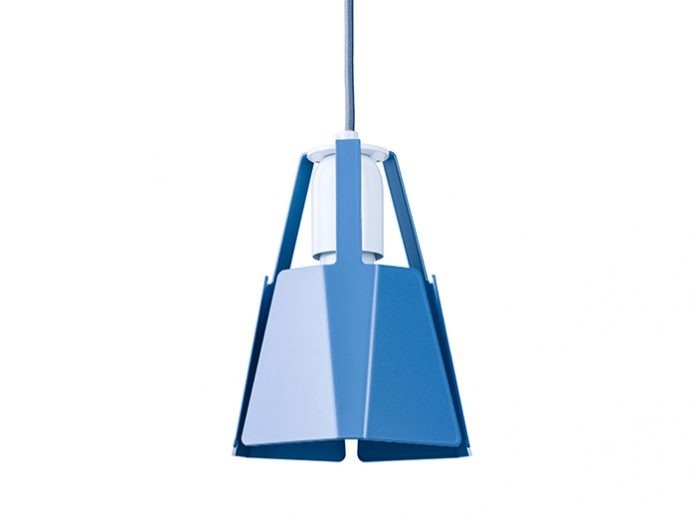 Three faceted metal wings embrace the light source and dispense light downwards and upwards. Minimalist and distinctive in design the pendant light sets exciting accents and applicable versatilely. The precise geometric form adapts to different interior styles and environments. Available in three colours.